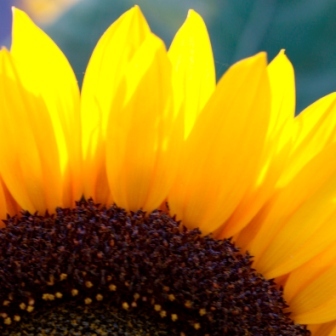 Sunflowers could be the perfect plant for country gardens. They are so easy to grow from seed and some varieties quickly shoot up to about 2 metres tall adding drama and intense colour to any planting scheme in full sun. Insects love the pollen and after flowering the hundreds of glossy black seeds are brilliant for garden birds. I’ve had my eye on these beauties in a local village for a while. Although I have never photographed Sunflowers before I was confident that the shot I was after was just a few clicks away. A photo shoot the other evening proved to be more of a challenge than I first thought. 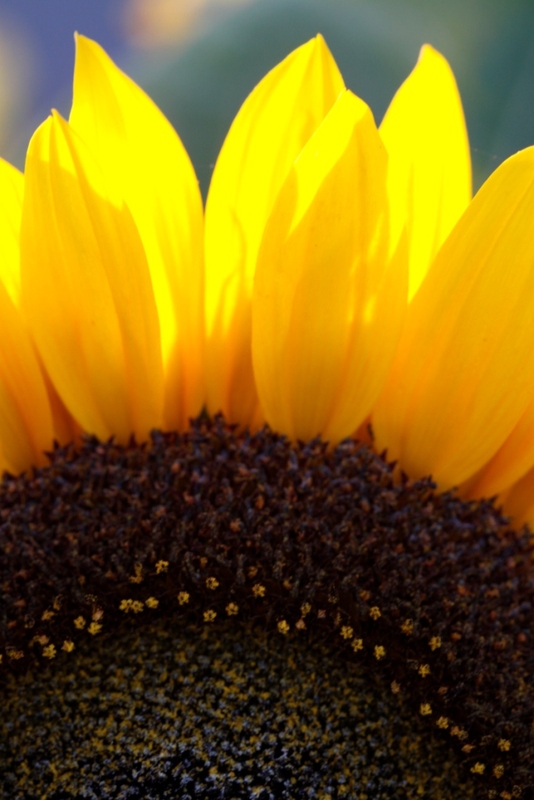 I was aiming to capture the golden glow of the setting sun shining through buttery yellow sunflower petals. It was a beautiful day and I wanted some special photos to mark the very last day of summer 2014. It soon became clear that the centres of the sunflowers were a solid mass of shiny black seeds. They would not allow even the faintest glimmer of light to show through. A change of plan was required. 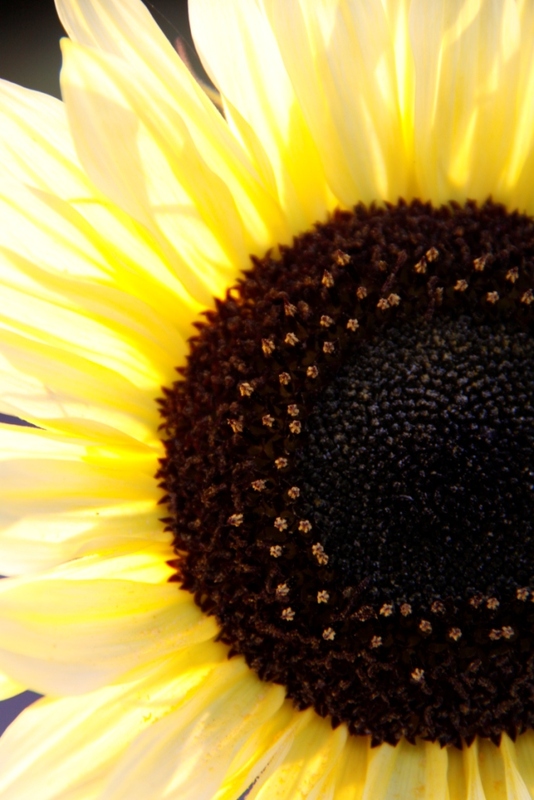 Instead of the wide shot with a host of sunflowers I had planned I took some tightly cropped shots of just one flower. A photo shoot like this is never wasted. I didn’t get the back lit image I’d imagined. However I discovered that the centres of these Helianthus annuus are simply amazing. And I found a bee with inky blue legs feeding on the pollen. Previous PostGot your shades on?Next PostCan you see me? Beautiful photos of the sun shining through the petals.